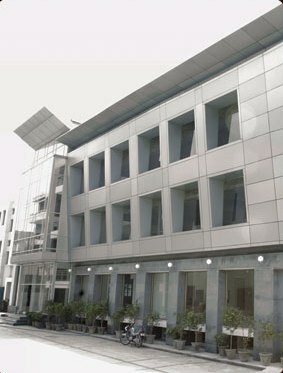 AURA Institutions which is shortly known as (AURAI) situated in Delhi was bought up in 1989. AURA is one of the foremost institutions in Delhi that fascinates exceptional students all over the country. This Institute imparts a variety of courses, particularly calculated to help students with vernacular linguistic concerns which recover their academic English talents in understanding, writing, communicating and grasping. This institute also imparts the benefits of a research led coaching atmosphere, where one’s education will be improved by modern technology in their area. This institute conducts periodical tests and assessments for better growth of the students. Possess the regular Feedback on attendance and academic progress. AURA conducts research and development team to improve the prospectus frequently as per the industry requirements. And the atmosphere at this institute mainly focuses on great quality study, facilities to put up all the supplies whether generous, communal or social. This institute imparts faculties who are highly qualified and experienced in both industry and academic experience. And also by imparts advanced training methods for the students. AURA conducts personality improvement and training as a part of prospectus to improve the behaviour to be a leader. Advanced classrooms with Wi-Fi, AV system enables, Library with huge collection of books, computer lab, practical training etc. AV Lab, Academic zone, Math lab, ATM, Auditorium, Canteen, CSC etc. All three, five and seven star hotels visit the campus to recruit. There will be summer interns held in where students have to attend the workshops and internships at the top hotels hired by them to learn from scratch. All facilities required for the course is provided in the campus. Practical knowledge is very much important for this course so as the institute delivers every detail and conducts live projects. Also the recruiters pay high package to the students for their creativeness and the talent. There is hostel facility for boys provided necessary amenities. Each room is well-furnished and ventilated rooms. They maintain cleanliness inside and outside the premises. Mess is inside the campus and provides nutritious and tasty food. The menu keeps changing and students can give their feedback to the coordinator and if necessary changes will be done. Are you Interested inAURA Institutions"? Please provide the following details.